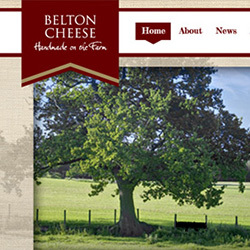 Award winning farmhouse cheese has been made at Belton Farm since the early 1800’s. Based in the glorious Shropshire countryside, close to the county of Cheshire, Belton Farm now produces many different varieties of cheese, including the local speciality: Cheshire. The existing website had become extremely dated and was in need of a re-fresh. 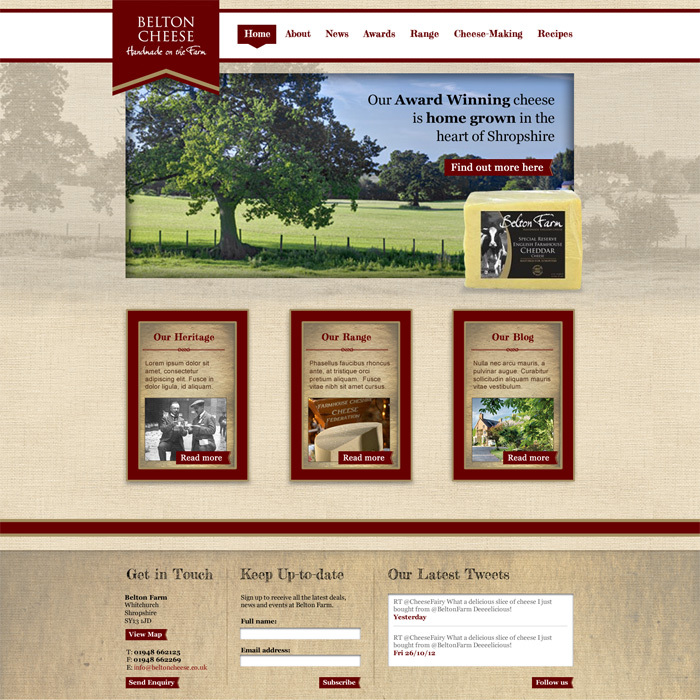 I created a new look and feel for the site incorporating the existing Belton Farm brand. The design reflects the business’ status as an organic farm, with a rich heritage, producing handmade cheese that has both traditional and modern values. This design (and the accompanying sub-page above) was pitched to the company and although the client liked it, they were unable to go ahead with the development of a new site. 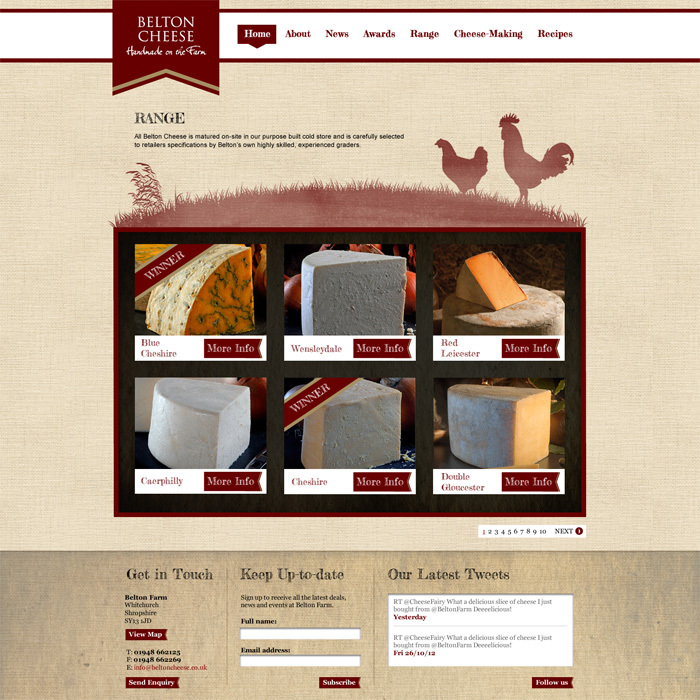 Despite this, the agency won another project with Belton Cheese and so a positive outcome was still reached.